We cannot have this discussion with Naples as an example. The situation there is quite ambiguous. What is happening there now was achieved with great effort after an immense political crisis: the PD (Democratic Party) in Naples is divided into four or five factions, the 5 Stelle movement is weak, and there is this incredible Mayor Luigi de Magistris, a former magistrate – very straight and tough – who is open to what according to him might constitute the majority. So all this makes Naples a rather unique case, a confluence of events. There are so many contingent factors playing a part there. The first concern of the comrades who occupied buildings was therefore to obtain a guarantee, an anchoring in the institutions. In Assembly you quote Hegel: ‘Everything turns on grasping and expressing the True not only as a Substance, but equally as Subject’.2 What exactly is subjectivity to you? Does subjectivity take on a different form today and if so, what does it look like? One year ago, at the Venice Biennale, Marx was read; at documenta 14 in Athens, so much engaged political art was shown that the 12 April 2017 issue of Dutch national newspaper NRC Handelsblad likened it to a ‘stage for the revolution’. At the same time, however, these revolutionary platforms stay within the confines of biennales and documentas, which reminds one of what Walter Benjamin has called the ‘aestheticization’ of politics, which according to him was also a sign of fascism. Is there a way out of this for art? Can art escape from institutions that maybe do not affirm fascism as such, but certainly neoliberalism, and that turn art into a commodity? Why we don’t call it ‘communism’? Perhaps because that word has been all too much abused in our recent history. In Italy, in the 1970s, there was a group of situationists who called it commontismo (rather a sympathetic lot, these situationists, but it all ended very badly: they turned out to be activist robbers, went to prison or became drug addicts; it all ended tragically). Yes, that’s what the common is all about. The term ‘people’ stays within the logic of Hobbes and the bourgeois line of sovereignty and representation. It is a fiction that violates the multitude and has only that purpose: the multitude should transform itself into one people that dissolves itself in forming the sovereign power. Think of the original frontispiece of Hobbes’ Leviathan, which perfectly illustrates this. But it was Spinoza who, against Hobbes, emphatically used the concept multitudo and underlined that the natural power of the multitude remains in place when a political ordering is formed. Actually, Spinoza, in elaborating these concepts of multitudo and comunis encapsulates the entire issue of politics and democracy, as I have attempted to demonstrate in my book L’anomalia selvaggia and to which we refer again in part in Assembly. Crucial in the transition of singularity to the common, Spinoza teaches us, are imagination, love and subjectivity. Singularity and subjectivity becoming common and translating themselves into newly invented institutions, is one way of summarizing commontism. 1. A note on ‘common’ versus ‘commons’: as interviewers, we stick to the notion ‘commons’ – as used by Elinor Ostrom [see her Governing the Commons: The Evolution of Institutions for Collective Action (Cambridge: Cambridge University Press, 1990)] and Massimo De Angelis [see his Omnia Sunt Communia: On the Commons and the Transformation to Postcapitalism (London: ZED Books, 2017)] – as Ostrom’s ‘Common Pool Resources’. These are socio-ecological material and immaterial resources under collective and co-operative civil management. By ‘civil management’ we refer to the management of users of Common Pool Resources who neither act in the function of a government nor the (commercial) market [see Philipp Dietachmair and Pascal Gielen, ’Public, Civil and Civic Spaces’, in The Art of Civil Action: Political Space and Cultural Dissent, ed. P. Dietachmair and P. Gielen (Amsterdam: Valiz, 2017)]. ‘Commoning’ is therefore a social system of autonomous self-management [see De Angelis, ‘Grounding Social Revolution: Elements for a Systems Theory of Commoning’, in Perspectives on Commoning: Autonomist Principles and Practices, ed. Guido Ruivenkamp and Andy Hilton (London: ZED Books, 2017)]. 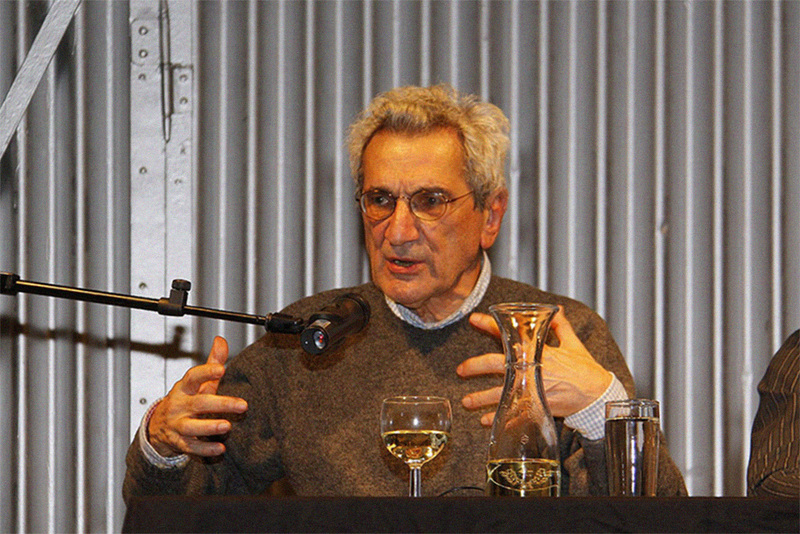 Negri uses in this interview, related to the book Commonwealth (2009) he co-wrote with Michael Hardt, the notion ‘common’ instead of ‘commons’, which for him rather abstractly refers to the whole of capacities, affects, dispositions and interests that form the basis for the creative capacity of the multitude. So, we can say that the ‘commons’ is the ‘material and partially institutional expression’ of the common [Jeremy Gilbert, Common Ground: Democracy and Collectivity in the Age of Individualism (London: Pluto Press, 2014), 165]. With the use of the notion ‘common’, Hardt and Negri emphasize not only the creative potential contained in social interactions, but also its revolutionary nature. ‘Extensively, the common is mobilized in communication from one local struggle to another’ (Hardt and Negri, Commonwealth, 212–13). It can be noted in the interview that Negri often exchanges communism in a playful way with ‘commonism’. He therefore sees commonism as an extension or a continuation of communism in a new form. While the ‘commons’ is defined as a more neutral historical way of organizing social and economic life in pre-capitalist times or in non-capitalist economies (in the work of Ostrom), we could also say that Hardt and Negri ‘ideologize’ the concept or ‘loud’ it with political meaning and activist potential. 2. Georg Wilhelm Friedrich Hegel, Phenomenology of Spirit, trans. A. V. Miller (Delhi: Motilal Banarsidass, 1998 ), 10.
Credit: This essay is reproduced from the forthcoming book with the kind permission of the authors Pascal Gielen and Sonja Lavaert and publisher Valiz, titled Commonism: A New Aesthetics of the Real, edited by Nico Dockx and Pascal Gielen, for the Antennae-Arts in Society series (Amsterdam: Valiz, September 2018), www.valiz.nl. Text licensed under Creative Commons Attribution-NonCommercial-NoDerivativeWorks 3.0 License.